Florida Governor RICK SCOTT has no credibility on environmental issues. His race for U.S. Senate is an act of desperation, seeking to hold on to power. SCOTT invoked the Fifth Amendment some 75 times in depositions that helped to lead to a $1.6 billion penalty for his Columbia/HCA Corporatation for Medicaid and Medicare fraud. The governor faced a token primary challenge in his bid for the U.S. Senate and won easily. While everyone was glued to the governor's race Tuesday night, Gov. Rick Scott was cruising to victory in a little-noticed Republican U.S. Senate primary. Scott crushed his little-known opponent, Roque (Rocky) de la Fuente, a wealthy California businessman, with nearly 89 percent of the vote. But a closer look at county-by-county results strongly suggests that Republicans in two counties sent Scott a message of disapproval over his handling of two highly controversial issues: access to Florida beaches and toxic algae blooms in Florida waterways. Hopelessly overmatched, de la Fuente had no visible signs of a campaign and got 11 percent of the vote. But he did much better in two counties: Walton in the Panhandle and Martin on the Treasure Coast. De la Fuente got 20.5 percent of the vote in Walton and 20 percent of the vote in Martin, almost twice his statewide average. 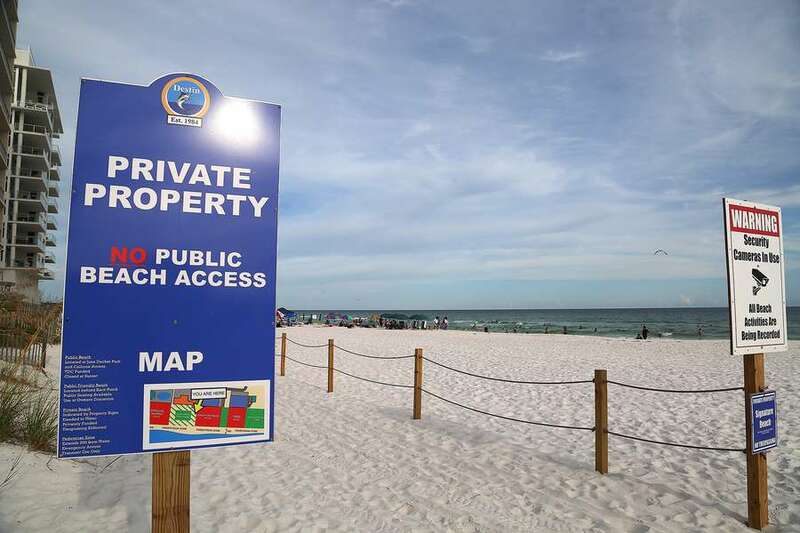 The popular beach communities of Walton County have been ground zero in the beach access debate, which has deeply divided beachgoers and tourists against private property rights advocates. Scott signed a bill that requires court intervention to enforce a doctrine known as "customary use" that ensures public access to beaches. Scott then issued an executive order last month that blocks state agencies from taking action based on the bill (HB 631). Scott and his opponent, Democratic Sen. Bill Nelson, have repeatedly blamed each other for the algae blooms that have poisoned waterways. The governor toured the St. Lucie River nearly three weeks ago, but he did not interact with local residents who were on the scene. Scott's soft numbers in Martin were first noted by Politico. The county-by-county election results are here. An unknown candidate gets one-fifth of the Republican vote against a sitting governor? That's no coincidence. A spokesman for Scott's campaign, Chris Hartline, said: "Rick Scott won more votes than any U.S. Senate candidate in Florida history. It's no surprise that Democrats and the Times would try to distract from Nelson's failing campaign by focusing on the counties where the governor won by only 60 percentage points." Scott released a new digital ad through his campaign Wednesday that criticizes Nelson for "walking out of a Senate hearing" on Capitol Hill Tuesday during a discussion of the algae blooms. Scott's online ad can be seen here.